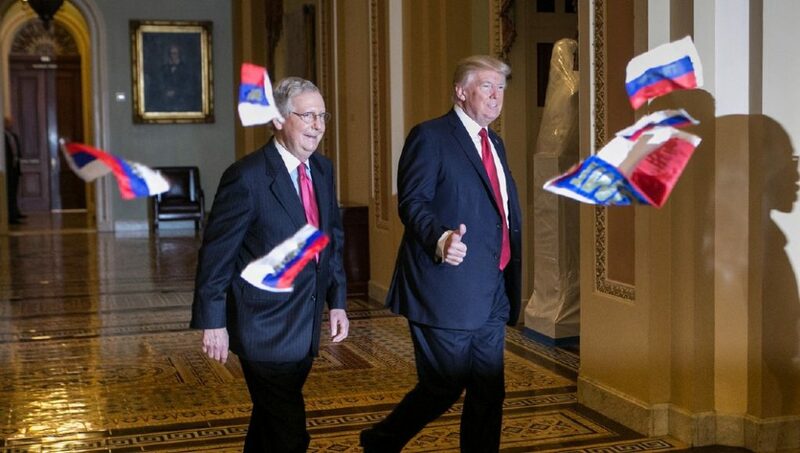 Americans Take Action is a network of populists who believe that the American government should represent we the people once again, that the economy should work for all of us, and that the internet should remain free and open for generations to come. Americans Take Action is working every day to restore free and fair elections in America so that every citizen has the freedom to vote and votes matter more than dollars in elections once again. We also are working to create a purpose-driven economy where all work is respected and rewarded, as well as ensuring that the internet remains free and open for generations to come. 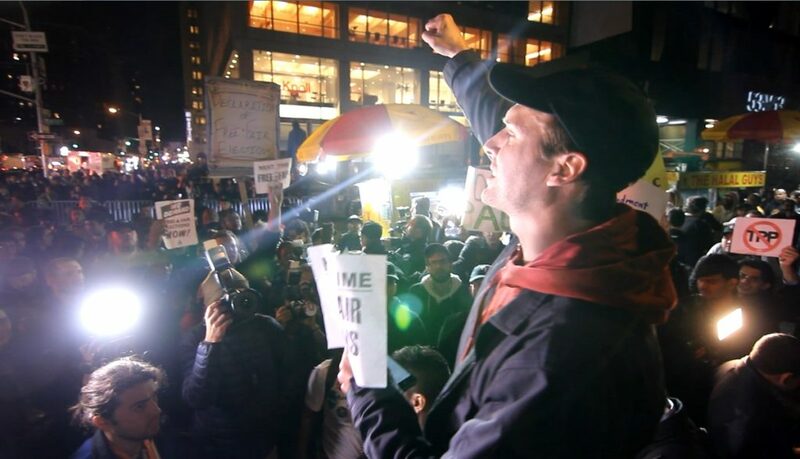 Americans Take Action is a force-multiplier for all of these campaigns, raising the level of active support among the American population for any number of potential solutions to the problem of corruption in government, an economy that’s not working, and threats to internet freedom. Through the use of new online organizing technology as well as old-school organizing tactics, we will help drive attention and activism toward a growing list of coalition partners, who’ve all joined the fight to save democracy in America. On July 4th, resistance activists sang the songs of angry men and nasty women outside of the White House to celebrate Independence Day and demand the impeachment of Trump. 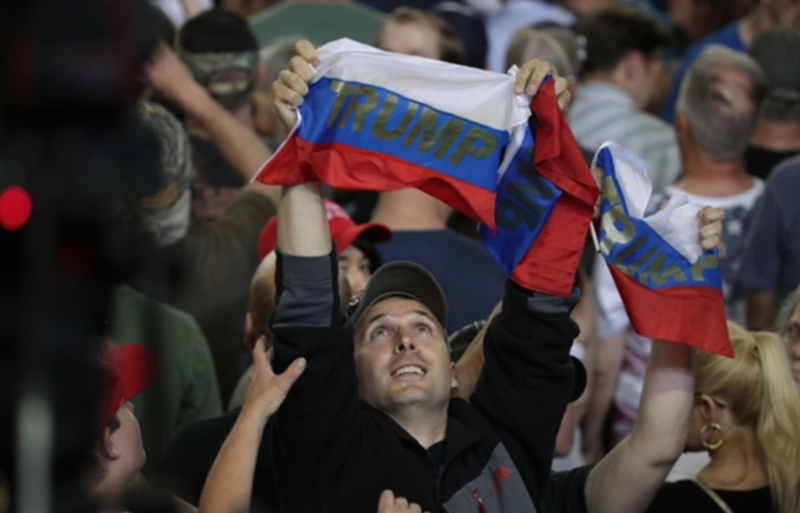 As President Trump criticized the media during a rally in Harrisburg, Pennsylvania on his 100th day in office, Ryan Clayton and Jason Charter from Americans Take Action waved Russian flags. 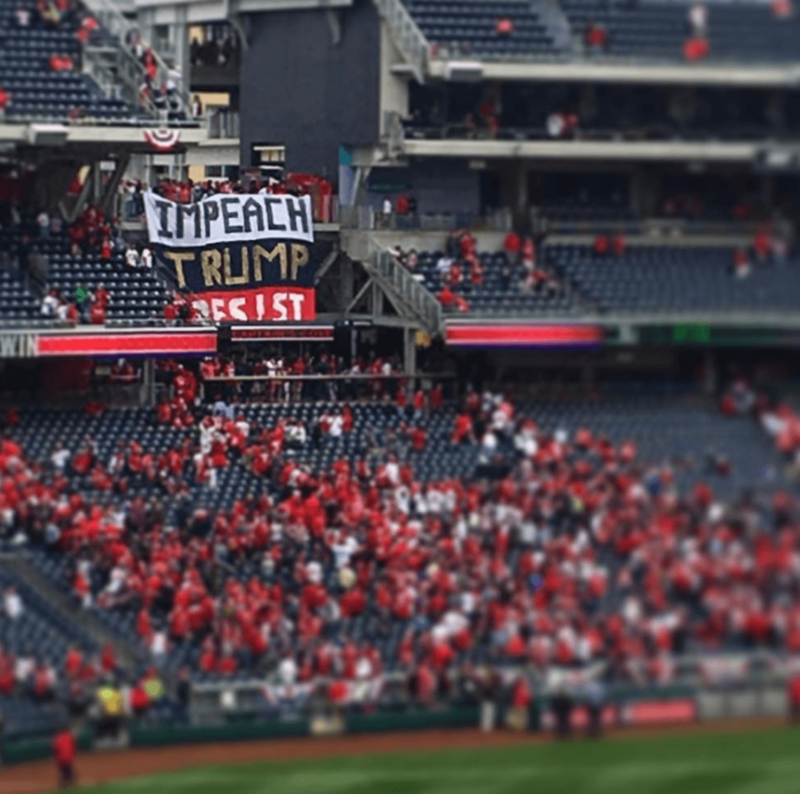 Not long after the Nats finished off a 4-2 win over the visiting Marlins, protesters from Americans Take Action hung a large “Impeach Trump” banner from the observation deck on the first base side. 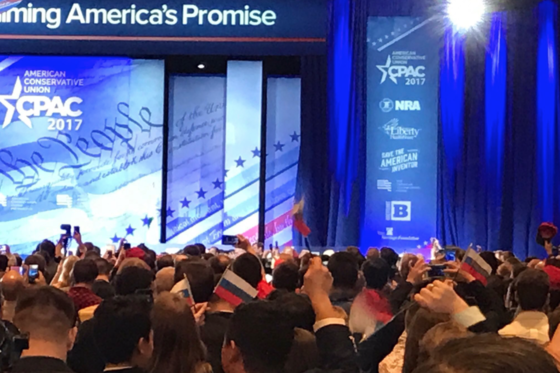 Jason Charter and Ryan Clayton of Americans Take Action distribute Russian flags emblazoned with Trump’s name to unwitting CPAC attendees. Ryan Clayton assaulted during infiltration of Trump Ally James O’Keefe event. 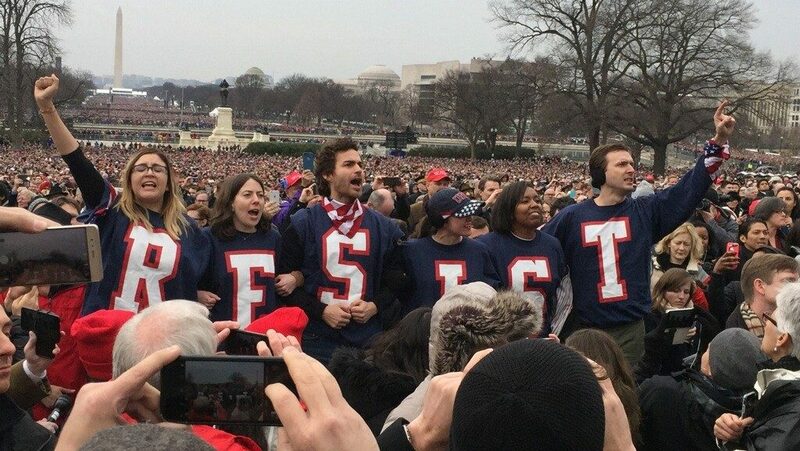 The counter-sting, carried out by The Undercurrent and Americans Take Action, managed to surreptitiously record elements of O’Keefe’s network offering huge sums of money to progressive activists if they would disrupt the ceremony and “put a stop to the inauguration”. Protesters with Americans Take Action interrupt Vice President Joe Biden as he certifies the Electoral College results during a joint session of Congress. 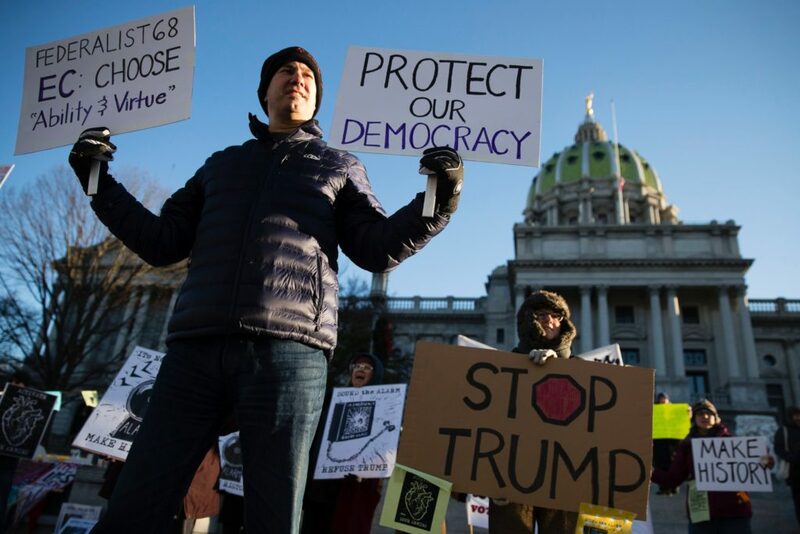 “If Putin picked our President, not We the People, then Trump must be rejected by the Electoral College,” said Ryan Clayton, a spokesman for the group Americans Take Action. 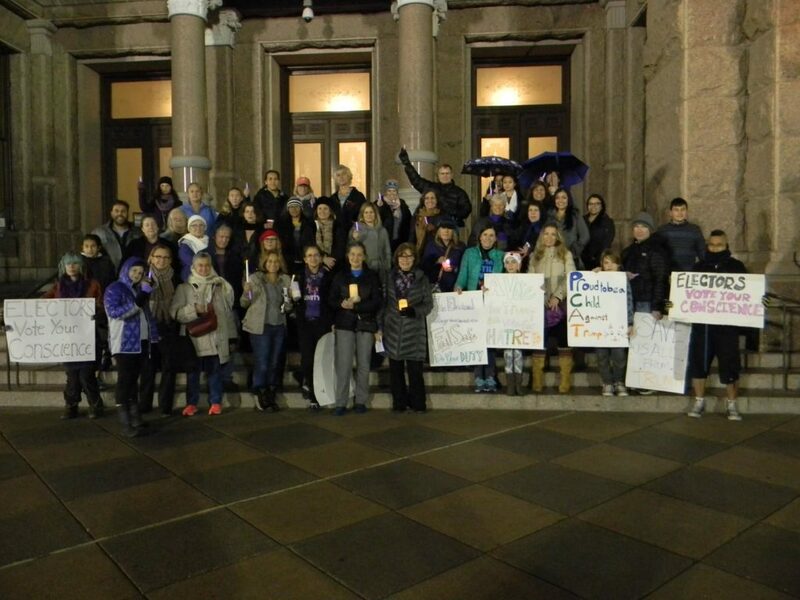 On December 17-19th, 2016, over 10,000 Americans gathered at state capitals across the country for candlelight vigils and rallies, asking Electors to vote their conscience and reject Donald Trump when the Electoral College officially elected the President on December 19. Martin Sheen, Debra Messing, Bob Odenkirk, and fifteen other celebrities implore Republican members of the Electoral College to vote their conscience on December 19th. 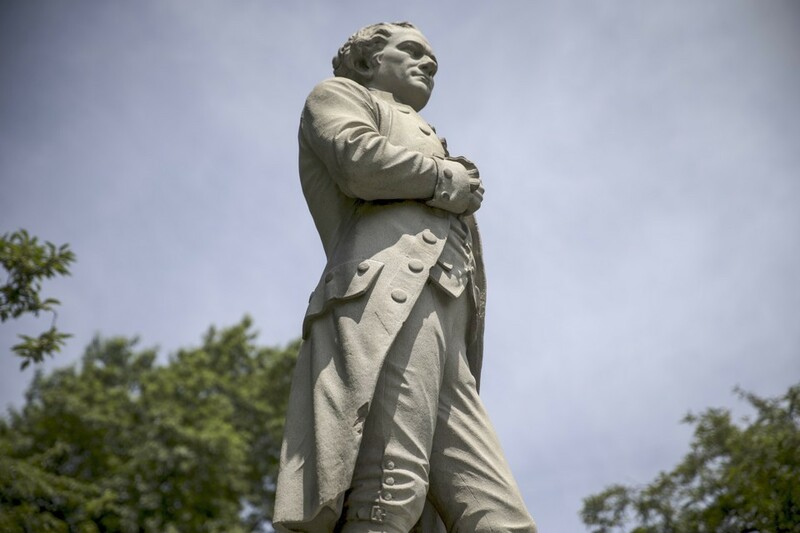 Born from Hamilton’s words in Federalist 68, the Hamilton Electors campaign was officially launched to oppose Donald Trump in the Electoral College.